I have been slowly on a quest over the past couple years to change all the products I use on myself to products as natural as possible. Many of these products I have purchased, but some I have found easy ways to make myself. 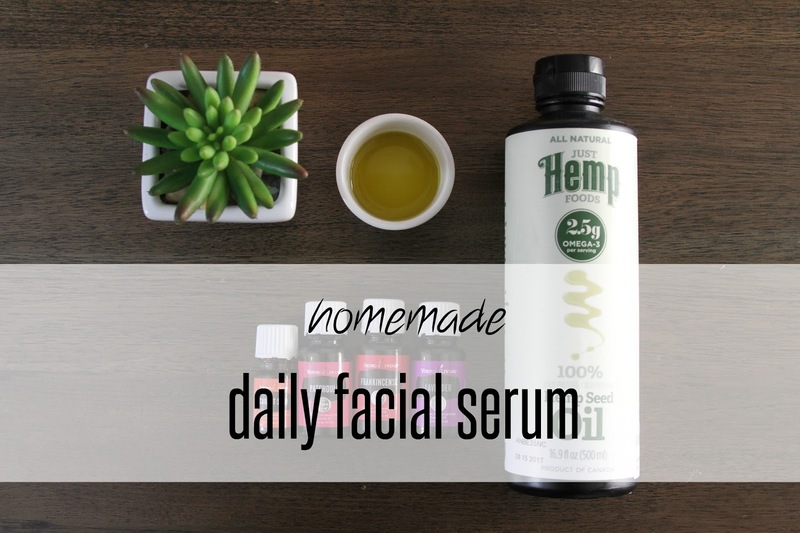 This daily facial serum is an easy one. I have been using this recipe for about a year and love it. It doesn't leave my face feeling like there is a film on it, like the facial lotion I was using before did. It leaves my face feeling clean and moist and I have never gotten any breakouts from it. When using the same essential oils daily on something like your face, less is more. It's important to not overwhelm your body with too many essential oils day after day. That is why you will find this recipe really doesn't have a high content of essential oils. As for ingredients, the carrot seed oil helps provide sun protection, while the other three help with breakouts, anti aging and more. This recipe is for the half ounce dropper bottles. Fill the rest of the way with the carrier oil of your choice. I use hemp seed oil, though I know jojoba and avocado oils are also popular choices. I use 4 drops every morning and find that is plenty of coverage. I used to use more drops when I would rub my hands together to put it on, but when I switched to applying it with a finger, I found I could use a lot less. In case you are curious about some of the other things I've made - back to school oil recipes, coconut oil for shaving cream, homemade baby wash and homemade laundry soap.